Bring the kids in their PJs to this special screening of the magical Christmas movie, The Polar Express. Plus come early for face-painting by Glitterbug Face & Body Art! Happy New Year Hamilton! Join us for a New Year’s Eve full of music, magic, comedy, cocktails, canapés, and nostalgia. This is our biggest and classiest event ever! And it’s all Hamilton. Party like it’s 1927! We’re celebrating the 90 years this theatre has been a landmark of entertainment in Hamilton. And we’re ringing in the New Year with Hamilton’s top talent. We’ve got Juno Nominee Jim Witter, Juno Winner Tomi Swick, mega-talented Liteyears, and the oh so sensational Bonnie Hamilton. Don’t worry, no prohibition here. We’ll be serving up some delicious drinks and delightful nibblies from the chefs at Pokeh Bar! Join us for a special night where vintage meet vanguard, and the memories last a lifetime. Doors at 7:30pm, first performance at 8:30pm. Dress in the classiest attire of your favourite era! Early Bird Pricing in effect until Dec 25: $55 per person plus HST. $65 per person plus HST after Dec 25. Includes Champagne at midnight and Canapés. It's a special PA Day Pyjama Party. We kick off the Christmas Season with our famous Polar Express Pyjama Screening. The holidays are almost here and the kids are already climbing the walls! Make it easy for yourself... Bring the kids in their PJs to this special screening of the magical Christmas movie, The Polar Express. Believing in Santa Claus isn't easy when all of your friends and family insist he's just make-believe. A boy's faith is rewarded one Christmas Eve when he's awakened by a steam train that pulls up in front of his house and takes him and other children to the North Pole to meet Santa. The holidays are here and the kids are already climbing the walls! Make it easy for yourself... Bring the kids in their pyjamas to this special screening of the magical Christmas movie, The Polar Express. By this point, you're probably sick of Christmas. It's been nagging at you like a little rodent! Well, guess what, take a break from the shopping and the chaos (you deserve it) and enjoy this Xmas Edition of Epic Film Friday. Put your stresses in the microwave and watch them blow up! A loveable but mysterious exotic pet brought home from Chinatown becomes the source of a slew of miseries for an American suburb when the "Mogwai's" owners disobey a few basic precautions and help spawn a host of evil creatures. A world-wide postal strike stops letters from being delivered to the North Pole. Without the magic of children’s love and faith to support him Santa loses his energy and falls into a deep sleep. The Elves must find a way to wake Santa or Christmas will be lost forever. Children and adults alike will thrill to this fantasy ride of comedy, sadness and the triumph of Christmas Spirit! Tell your teachers and principal about the Student Performance that your whole class can enjoy on Thursday, December 11. Contact us for more. Feel the magic of the season with Jim Witter and his family with special guest The Waking! Christmas Memories is about the feeling of Christmas... feelings of joy and promise that some call magic... it's about that special time of year when holiday decorations, laughter and the first notes of "Charlie Brown Christmas" hold the promise that Santa does exist — certainly in spirit in the hearts of all. This is a show that truly celebrates the magic of Christmas with a heart warming array of Christmas favourites. Jim Witter has created yet another masterful journey back into not just time — but into one's heart. You’ll be singing along with Jim and his incredible band as they perform some of your favourite Christmas tunes, and you’ll be laughing as Jim shares some of his own childhood memories with you. Christmas Memories is a musical journey that says "I believe!" Proceeds to Support City Kidz Gift of Christmas! You told us and we listened... One of your top picks for our Christmas Movie Tradition lineup! 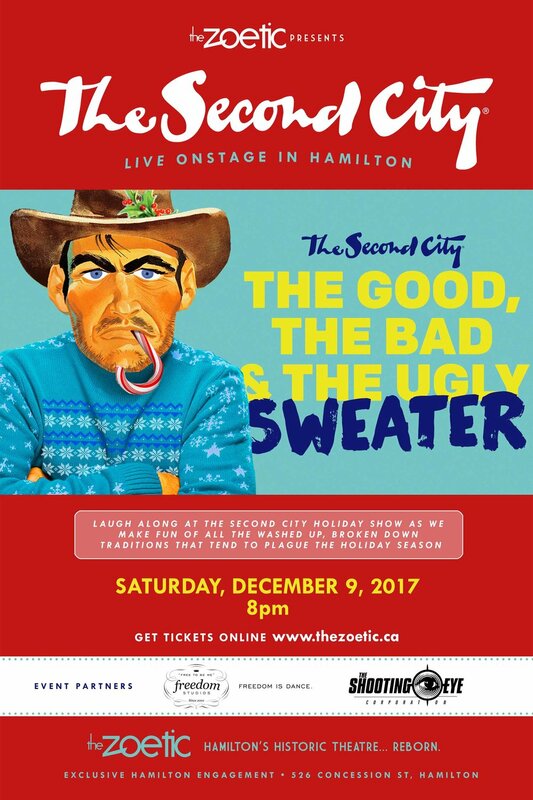 SPECIAL CHRISTMAS PRICING: Two tickets for $10 with a non-perishable food donation for Neighbour 2 Neighbour! Why not enjoy a double feature! Christmas Vacation screens on the same day at 6pm. Clark Griswald, the dedicated family man is determined to stay at home and create the most fun filled, old-fashioned Christmas ever. But life has a particular way of throwing wet logs on Clark's fire. Starring Chevy Chase, Beverly D'Angelo, and Randy Quaid. Why not enjoy a double feature! A Christmas Story screens on the same day at 9pm. George Bailey has so many problems he is thinking about ending it all - and it's Christmas ! As the angels discuss George, we see his life in flashback. As George is about to jump from a bridge, he ends up rescuing his guardian angel, Clarence. Clarence then shows George what his town would have looked like if it hadn't been for all his good deeds over the years. Will Clarence be able to convince George to return to his family and forget about suicide? Why not enjoy a double feature! White Christmas screens on the same day at 3pm. The definitive Yuletide film! A simple story of two Army buddies who help their former officer to popularize his winter resort. 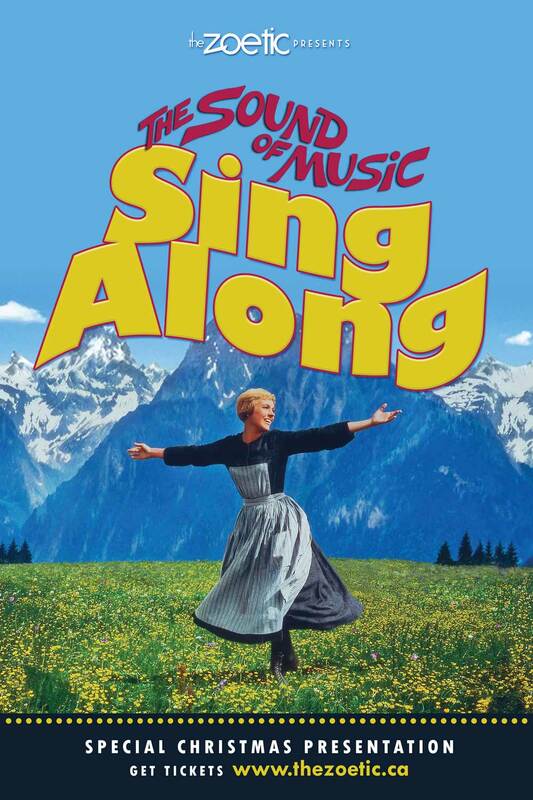 This framework serves for 15 tuneful Irving Berlin numbers, including "Count Your Blessings", "Sisters", "Love You Didn't Do Right By Me", and the classic rendering of the title song by Bing Crosby. The four stars are at the peak of their popularity and charm, preserved on celluloid for endless enjoyment. Why not enjoy a double feature! It's a Wonderful Life screens at 7pm on the same day. It's a Christmas Epic Film Friday to start the season. "Yippee ki-yay" Bruce Willis!